Organizations looking for ISO 45001 2018 OH&S (18000) certification consultants in India, ISO 45001 2018 OH&S certification registration consultancy in India , ISO 45001 2018 OH&S (18000) certification internal auditor lead auditor training provider agency in India, ISO 45001 2018 OH&S (18000) certificate consultant agency & OHSAS certification service providers in india can contact us. We are one of the reputed certification consultants for ISO 45001 2018 OH&S occupational health and safety management system certification & registration in India. Established in year 2004, we are providing our ISO 45001 2018 OH&S (18000) certificate certification / registration consultancy services in Gujarat (ahmedabad, vadodara-baroda, surat, ankleshwar, bharuch, nadiad, anand, vidhyanagar, mehsana, kadi, kalol, chhatral, palanpur, rajkot, bhavnagar, Jamnagar, himmatnagar, bavla, gandhinagar, gandhidham, kutch, mundra, surendranagar, junagadh, saurashtra and in other cities of Gujarat), Rajasthan Madhya Pradesh, uttar pradesh, bihar, punjab, hariyana, karnataka, andhra pradesh, tamilnadu, aasam, delhi, maharastra and in other states of India. Organizations looking for OHSAS consultants, OHSAS registration consultants, OHSAS certification providers, ISO 45001 2018 OH&S registration providers, OHSAS internal & lead auditor training providers, OHSAS 18000 registration agencies, OHSAS certification consultancy, OHSAS consulting agencies, service providers for ISO 45001 2018 OH&S (18000) management system certification in India can contact us. We are providing ISO 45001 2018 OH&S (18000) occupational health and safety management system certificate certification registration consulting & advisory services for various manufacturing and service sectors. We can help organizations in achieving ISO 45001 2018 OH&S certification from various certification agencies / certification bodies such as TUV, BVQI, Intertek, URS, BSI, IRQS and other UKAS, NABCB, JAS ANZ, DAC etc. 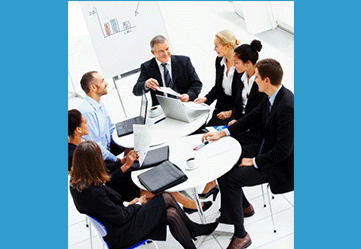 accredited certification agencies. ISO 45001 2018 OH&S (18000) certification is an Occupational health and safety management system certification. This is a high level health and safety management system process which contains systematic approach of identifying and managing various health and safety hazards lying at the work place. Following is an overview about ISO 45001 2018 OH&S health and safety management system requirements. Framing ISO 45001 2018 OH&S health and safety management system policy that gives an idea about vision of organization towards managing health and safety. Identifying ISO 45001 2018 OH&S health and safety hazards. Rating identified hazards against probability of occurence and severity. Fixing a benchmark point for categorizing health and safety hazards in to high, low, medium etc. Evaluating operational controls for high categorized hazards. Taking necessary management plans for lowering severity/probability of identified health hazards. Documenting and training about ISO 45001 2018 OH&S operational control procedures / plans to control medium and low OHS hazards. Evaluating and complying with applicable ISO 45001 2018 OH&S related health and safety related legal requirements. This might be factory laws/rules/acts./regulations and other statutory and regulatory requirements pertaining to health and safety. Management area requirements implementation such as internal audit, management review, control of documents, control of records, training etc. Application to ISO 45001 2018 OH&S health and safety management system OHS certification agency. Stage 1 audit by ISO 45001 2018 OH&S health and safety management system OHS certification agency. Closing non conformaties / observations given by OHSAS certification agency during stage 1 audit. Stage 2 audit by ISO 45001 2018 OH&S certification body. Closing non conformities / observatiosn given by OHSAS certification body during stage 2 audits. 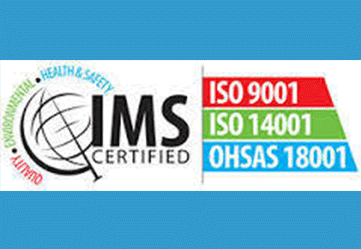 Ocean Management Services is a leading ISO 45001 2018 OH&S consultants in india , OHSAS 18000 internal auditor lead auditor training providers in India. Where OHSAS certification is applicable ? What is the purpose / advantage of ISO 45001 2018 OH&S (18000) management system registration ? OHSAS management system helps organization in developing safe and healthy work practices that reduces accidents / injuries / ill health incidents. 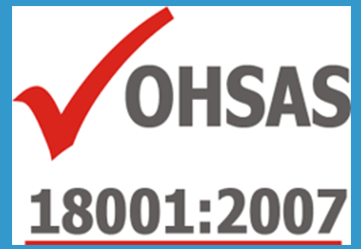 After getting training on OHSAS 18000 requirements, OHSAS management system helps organization in developing safe and healthy work practices that reduces accidents / injuries / ill health incidents. This improves faith & comfortness of employees in their work which further improves productivity / efficiency of the individuals. Organizations searching for ISO 45001 2018 OH&S consultants in India, ISO 45001 2018 OH&S certification in India can contact us. ISO 45001 2018 OH&S is an Occupational health and safety management system certification that focuses upon avoding / minimizing health and safety hazards while performing the work. ISO 45001 2018 OH&S health and safety management standard contains various requirements for establishing a health and safety management system that would have sufficient operational controls to prevent incidents, accidents and ill health situations. An ISO 45001 2018 OH&S practicing company always enjoys safe work environment and safe work places for employees , visitors and other stake holders. Organizations in India willing to obtain ISO 45001 2018 OH&S occupational health & safety certification shall adopt following process. Finalize consultants / training providers for ISO 45001 2018 OH&S certification. Take training about ISO 45001 2018 OH&S standard requirements. Find out gaps in existing system against requirements of ISO 45001 2018 OH&S & take necessary actions to comply with identified gaps. Esablish and document manual, procedures, operational control procedures, forms and other documents as required by ISO 45001 2018 OH&S standard. Perform internal audit and management review. Stage 1 audit by certification agency. Closure of findings of stage 1 audit. Stage 2 audit by certification agency. Closure of findings of stage 2 certification audit. We are a leading ISO 45001 2018 OH&S certification consultants, leading ISO 45001 2018 OH&S trainers in India. Organizations willing to achieve ISO 45001 2018 OH&S certification can contact us. We can extend our services for achieving ISO 45001 2018 OH&S certification in all states of India. In Gujarat we can cater organizations located at ahmedabad, vadodara, surat, ankleshwar, bharuch, vapi, valsad, mehsana, chhatral, siddhpur, palanpur, himmatnagar, bhavnagar, jamnagar, surendranagar with our ISO 45001 2018 OH&S health and safety management system certification consulting and training services. Ocean Management Services is a leading ISO 45001 2018 OH&S certification consultants, ISO 45001 2018 OH&S consultancy, ISO 45001 2018 OH&S training providers, ISO 45001 2018 OH&S consultancy providers in India. We can help organizations in Gujarat, Rajasthan, Punjab, Hariyana, Uttar pradesh, Madhya pradesh, Delhi, Bihar, Maharashtra and other states of India in achieving ISO 45001 2018 OH&S occupational health and safety management system certification. Process for obtaining ISO 45001 2018 OH&S certification is elaborated above. 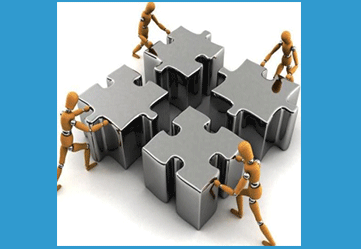 In Gujarat we can help organizations located at ahmedabad, vadodara, surat, ankleshwar, bharuch. vapi, valsad, mehsana, kadi, kalol, palanpur, siddhpur, himmatnagar, jamnagar, bhavnagar, surendranagar and in other cities of india in achieving ISO 45001 2018 OH&S certification, ISO 45001 2018 OH&S certificate, ISO 45001 2018 OH&S internal auditor trainings, ISO 45001 2018 OH&S awareness trainings. Organizations willing to obtain ISO 45001 2018 OH&S certification in India can contact us. Organizations looking to get certified with ISO 45001 2018 OH&S - health and safety management system certification and searching for OHSAS certification consultants, OHSAS certification consultancy, OHSAS certification training provider agency, OHSAS consultants in India can contact us. We were established in year 2004 and already helped more than 400 organizations in achieving ISO 45001 2018 OH&S health and safety management system certifications. We can help organizations in achieving ISO 45001 2018 OH&S certification from various certification agencies like TUV, BVQI, URS, Intertek, BSI, IRQS, SGS and other NABCB, UKAS, JAS ANZ and DAC accredited OHSAS certification agencies, OHSAS certification bodies. Coordinate with OHSAS certification agencies for completion of stage 1 and stage 2 audit. Organizations willing to obtain ISO 45001 2018 OH&S certification in Gujarat ( in ahmedabad, vadodara, surat, ankleshwar, bharuch, vapi, valsad, rajkot, junagadh, mahuva, bhavnagar, surendranagar, himmatnagar, jamnagar, prantij, mehsana, gandhinagar, gandhidham, and in other cities of Gujarat), Rajasthan, Punjab, Hariyana, Uttar pradesh, madhya pradesh, bihar, maharashtra, delhi, tamilnadu, andhra pradesh, karnataka and in other states of india can contact us.